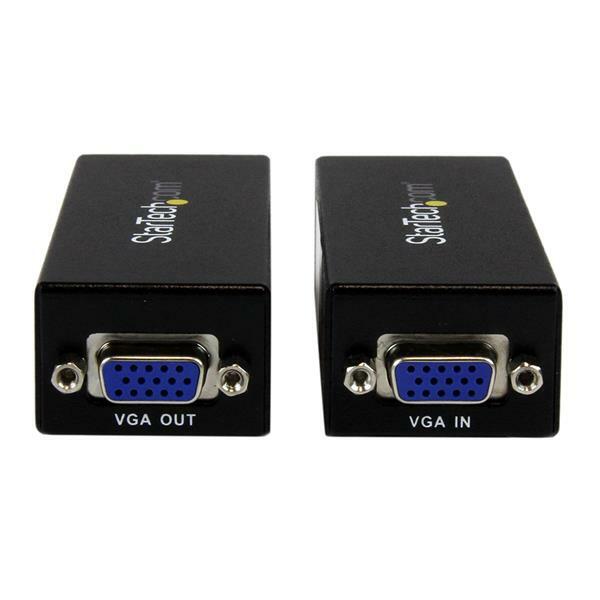 The ST121UTPEP VGA Video Extender over Cat5 - Point to Point lets you connect a remote VGA display/projector up to 80m away from the VGA signal source. 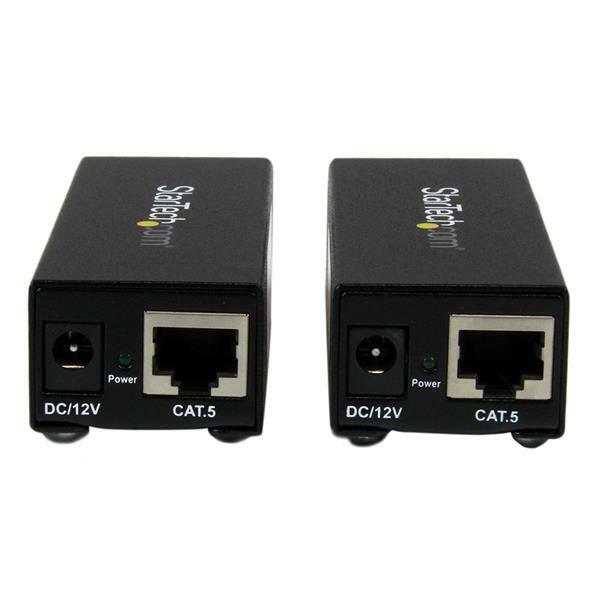 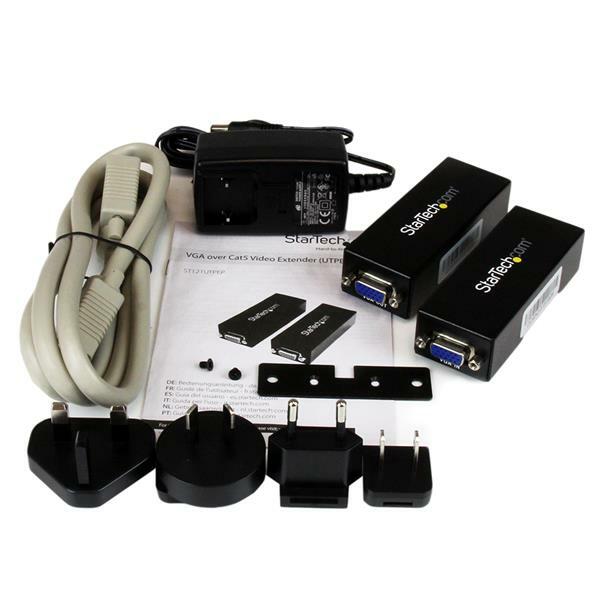 The ST121UTPEP is a bundled kit that includes both a local and a remote unit providing a complete end to end solution for a single source/display connection, transmitting the source VGA signal over a standard Ethernet cable (Cat5 or better UTP cable, terminated with RJ45 connectors). Offering convenient and cost-effective VGA distribution, the ST121UTPEP only requires one power adapter which can be installed at either the local or remote end of the connection, depending on what is most convenient for your application. 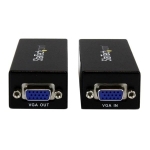 • Resolution may vary at distances depending on cable quality. 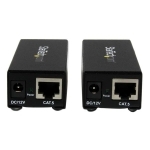 Cat 5e UTP cables are recommended.